This is the initial release from this winery. This wine is a blend of 90% Syrah and 10% Grenache and it is from Sonoma County. This was aged for 20 months in 50% new French oak. 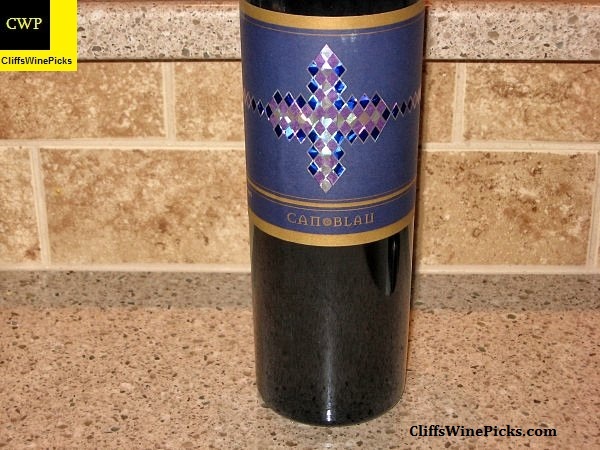 This wine has 15.2% abv and is sealed with a natural cork. We celebrate the artistic nature of winemaking by focusing on small vineyard parcels and blending these lots to create wines of seduction, power and grace. The name Cosa Obra is comprised of two words, the word Cosa meaning “thing” and the word Obra “a hand-crafted body of work”. This is our thing, this is what we do, this is our hand-crafted body of work. Wine is a living thing. It evolves and changes through time. In this way, nature tells the story through the soil, weather and time. High quality boutique wines require and hand-crafted approach and a team of artisans with a vision. Owner Gregory Hayes, and Consulting Winemaker Kent Humphrey have come together to form a team with over two decades of experience in the wine industry and a passion for unique and outstanding wines. Our winemaking goal is very simple; make a small amount of exceptional wine from carefully selected artisan vineyards from Sonoma County and share them at a reasonable price. Through these efforts Cosa Obra produces a Proprietary Red Blend and a Sauvignon Blanc crafted from grapes purchased from small growers in the Russian River Valley, Dry Creek Valley and Bennett Valley. Our limited production wines are released when they are ready to share and enjoy with friends & family. I guess you can call this a Social Media relationship. 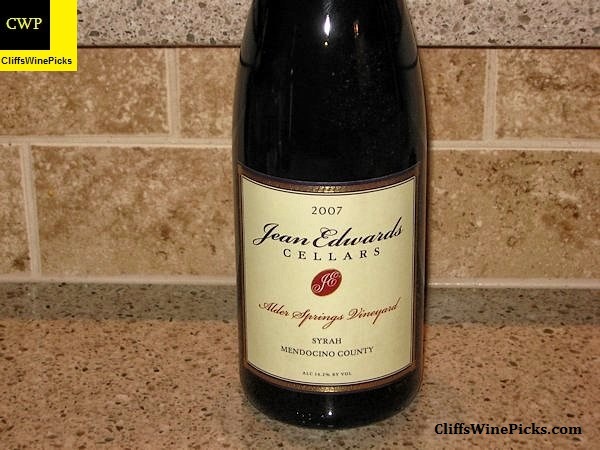 I learned of Jean Edwards Cellars via Twitter. I read their Tweets and started following them, luckily they followed me back. Over the last couple of years we have exchanged jokes and Tweets about just about everything. I was finally able to order a few bottles of their wine, and after giving a bottle a good 15 minutes to recover from the trip half way across the country, I popped the cork. I am now a big fan and I spread their name to anyone who will listen to me. I highly encourage you to check out their website and join their mailing list. These are two very nice people making some of the best wine in the Napa Valley. This has 14.2% alcohol by volume and is sealed with a natural cork. We are the owner/vintners of Jean Edwards Cellars – we share a passion for wine, a similar palate and a singular vision on the style of wines we produce. We live by our motto that “you should only make wines you love to drink” and focus our production on artisan red wines that are full-bodied and classically styled. Quality and heritage are important to us – our wines are reflective of their origins and are sourced some of the most prestigious vineyards (and vineyard blocks) throughout Napa Valley including Stagecoach Vineyard (on Pritchard Hill); vineyards on the valley floor in Rutherford, Oakville and Coombsville; and mountain vineyards on Howell and Spring Mountain. Time really flies – we started producing commercial wines in 2004 but our dream of producing high quality Napa Valley cabernet sauvignon wines started much earlier when we traveled to the valley in 1985. During that trip, we developed a true appreciation for cabernet sauvignon wines and decided we would some day be a part of the business and produce a wine called Jean Edwards Cellars (our two middle names). It was a goal worth waiting for and twenty plus years later we released our first wine in the Spring of 2006. For more information, to order wine, or to join the Jean Edwards mailing list, visit their website. 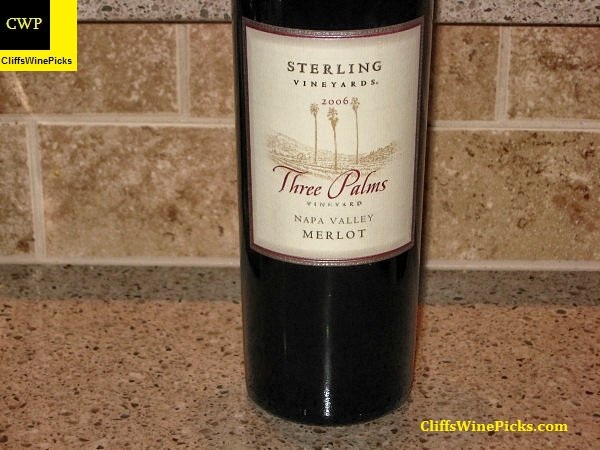 This is a very consistent, single vineyard Merlot that used to be a “house favorite”. Unfortunately, over the years the price increases took enough of a toll, that I felt it no longer offered enough quality to merit the price. When the local store was able to secure enough of the wine to offer via an “end of vintage” e-mail offer for a touch over $20, I had to jump in. 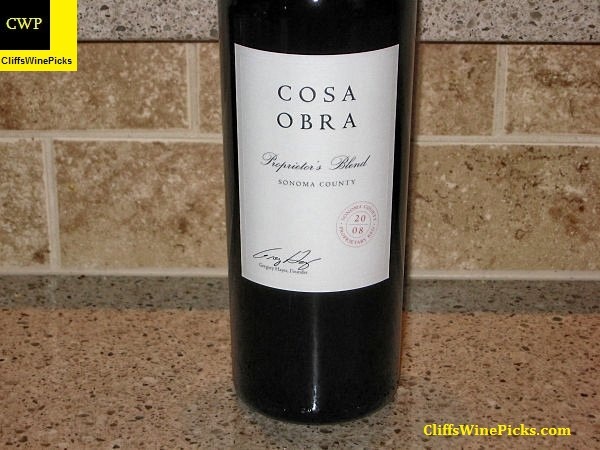 This has 14.5% alcohol by volume and is sealed with a natural cork. Sterling Vineyards is proud to be a certified Napa County Green Winery, a distinction we achieved in 2009 as one of the first 12 wineries to be included. This certification is a result of our diligent efforts in conserving water and energy, as well as preventing pollution and landfill waste. In addition, Sterling is also certified as Napa County Green for our land and vineyard practices, which include sustainable vineyard management, water conservation, and fish-friendly farming across 100% of our estate vineyards. Finally, in December 2008 our iconic tram was converted to solar power. The solar energy system produces more than 100,000 kilowatt-hours per year, which is equivalent to the energy required to power 5.5 homes for a full year. This conversion also eliminates 65 tons of CO2 emitted into the environment annually. From vineyard practices to winery operations to the daily activities at our world-famous tasting rooms, Sterling Vineyards is proud to act as a dedicated steward of our environmental riches. This is consistently a very nice, affordably priced, Rhone style blend from the Montsant region of Spain. This is a blend of 40% Carinena, 40% Syrah, and 20% Garnacha. This has 14.5% alcohol and is sealed with a natural cork. Cellers Can Blau was founded in 2003. The winery produces about 300 barrels of wine a year from their 34 hectares of vineyards. 70% of the wine they produce is exported. BTW I connected with Mark @ Ledge Vineyards. He have me a few places to try. I also joined his mailing list this past week, thanks to you and you blogs. Mark Adams is a great guy. If he gave you some leads, they should be great places. You’ll love Mark’s Ledge Vineyards wines. They are top notch and the professional critics are starting to take notice of them.